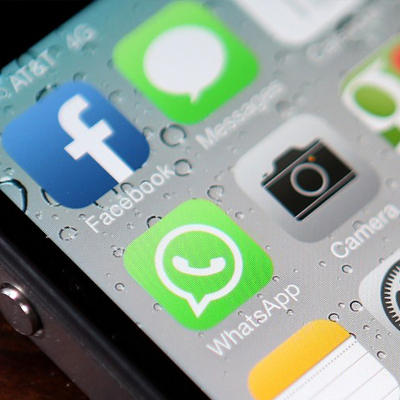 Recently Facebook announced its decision to acquire Whatsapp with a whooping deal of $19 Billion. Many Whatsapp developers became millionaires overnight after this deal but how would it benefit common people is still unknown? Perhaps, many questions are bubbling over the head of public. Among them are: What is Mark Zuckerberg trying to do? Is it a marketing technique? Is Facebook losing its mirage touch? Will Facebook ruin Whatsapp or bloom it? Is Whatsapp going to change after then? Does Whatsapp (a start-up company) really deserve a big amount of $19 Billion Dollar? Why is Facebook spending so much on Whatsapp? What is the story behind Facebook’s Whatsapp Acquisition? Though, these questions remain behind the curtains, the tech pundits have figured out the “real” reason behind the acquisition while everyone else is just making educated guesses. I have sorted out some of them in this blog. It would clear the story behind Facebook’s Whatsapp acquisition and changes after it. Whatsapp is a free messaging app that allows you to send or receive SMS without any charge for a year. After a year, it charges $0.99 for each year. Though, it needs internet connection to work but it is worth it. How does Whatsapp work? You register yourself on Whatsapp and it looks for other people who are using Whatsapp in your contact list. Then, you can text them without any limits or coverage charges. It is available in almost all platforms and is free to download. Right now, Whatsapp has more than 450 million active users worldwide and about 1 million users being added each day while Facebook has 1.23 billion active users. Though, Facebook has much more users than Whatsapp but still people on whatsapp send 500 million pictures every day, about 150 million more than Facebook. How much money is $19 Billion for a start-up company like Whatsapp? Actually, the deal is done for $16 Billion. In which Facebook will pay $4 billion in cash and share the remaining stock of worth about $12 billion. The rest $3 billion is a restricted stock unit which would be granted to Whatsapp founders and staffs over the next four years. Perhaps, the price is insanely high for a start-up company with just 55 employees which is more than the total value of Motorola + Nokia in India. 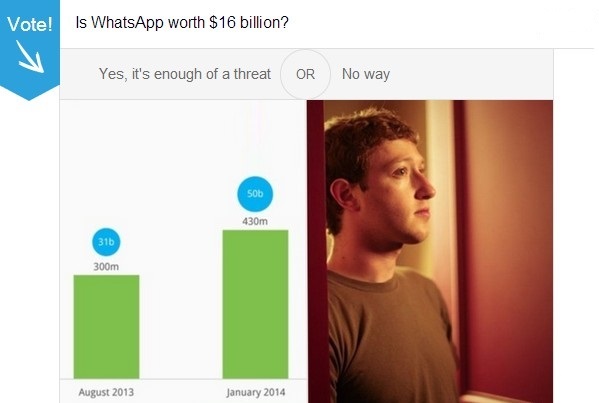 Is WhatsApp worth $16 Billion? Is Facebook gonna ruin Whatsapp with advertisements? It is the most essential question. The answer is a “Big NO”. According to Whatsapp CEO and Co-Founder, Jan Koum, Whatsapp will be ad-free as it was. It has a strict policy of no ads. It will also remain an independent company and stay in its own headquarters of Mountain View. They would mutually focus on the growth of marketing without affecting the core principles of each other. Is Whatsapp going to change at all, then? There would be only two positive changes related to privacy issues, that is, it would allow “hide last seen” feature on Android and you could hide your profile picture from unknown people. Perhaps, the $1 per year charge may also be abolished at some point. It would be a heart whelming news for the old users of Whatsapp. There has been an exclusive feature to hide last seen to the iPhone for a year now. But there has been no such option to android till now. Rather, people make use of tweaks and to do so. But the updated version will bring the most demanded feature to android. It has been available to iOS but with some limitations. iPhone users could not change between ‘seen’ and ‘unseen’ more than once a day. They had to wait for 24 hour to toggle between them. But android users would have this advantage to change it anytime. The new feature would also allow you hide your profile picture and status from the people who are not in your contact list. It would be really a rejoicing feature for the users who complain about the privacy issues on Whatsapp. 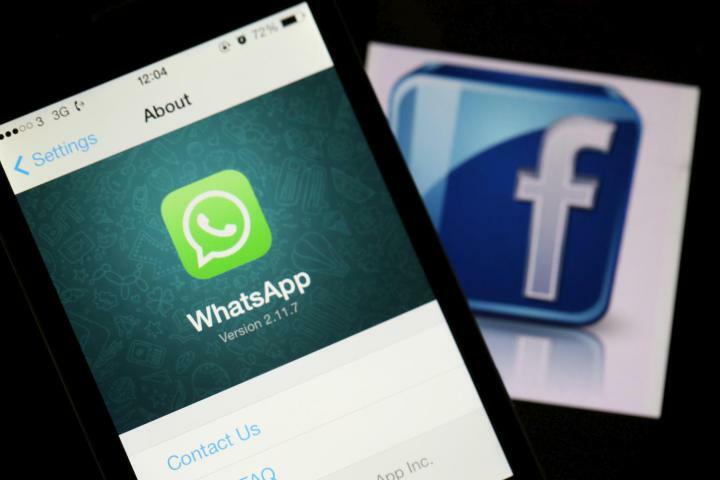 Why is Facebook spending so much on Whatsapp, story behind Facebook’s Whatsapp Acquisition? Facebook wants to become a social media giant: With Instagram and Whatsapp on the same roof, Facebook would become a social media giant with better collaboration as each one is typically different from each other. It would bring their monopoly on social network world. To expand its market in Europe and China: As everyone knows Facebook is banned in the most populous country i.e. China. It would spread its market through this deal. They would also try to attract people from Europe to demolish the arch rival Twitter. Facebook lives in fear of being disrupted in mobile: With the newer social apps, Facebook is loosing its mirage touch. This would really strengthen their place in the Mobile world. Future money generating marketing technique: Being a smart entrepreneur, Mark Zuckerberg is planning long term future money generating marketing technique. The messaging feature on Whatsapp may become a core Advertising business for Facebook in the future. It could also be the plan to invite people from Whatsapp to join Facebook.